Despite a valiant effort against the visiting No. 3 The Ohio State Buckeyes (19-5-4, 12-3-3-2 Big Ten), the University of Wisconsin men’s hockey team (9-14-5, 5-8-5-2) was swept at the Kohl Center over the weekend. A Friday night overtime thriller saw the Buckeyes emerge victorious with a 2–1 win. 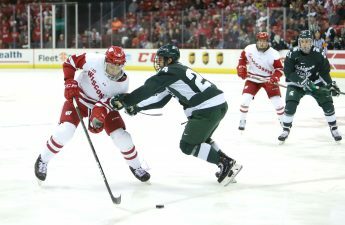 The loss seemingly crushed the Badgers confidence in advance of Saturday’s matchup as they were thoroughly outplayed in a 4–1 loss. The first matchup was a bruiser. Both teams came out slow and methodical to open the first period and were unable to find any offensive rhythm. Out of frustration, things got chippy. In the first period alone there were two major penalties for game misconduct. But both teams made it out of the first period unscathed with the score tied at zero. UW freshman goalkeeping sensation Daniel Lebedeff continued his run of great performances with a string of beautiful saves in the first period. He finished the game with 24 saves. The struggle to establish offensive flow continued into the second period, but things picked up quickly when freshman forward Mick Messner netted his sixth goal of the season just over two minutes into the period. The goal stunned the Buckeyes, who then dominated the possession battle but could not muster a goal. Wisconsin went into the final period up 1–0 with a legitimate chance at upsetting one of the best teams in the country. But just 2:22 into the third period, the same exact time as Messner’s goal in the second, Buckeye forward John Wiitala capitalized on an Ohio State power play and ripped a goal past Lebedeff from the high slot. Regulation ended with each team seeing opportunities at the net, but neither able to hit a game-winner, which meant free hockey in Madison. Ohio State controlled the puck for the majority of the overtime period. They peppered Lebedeff left and right, but the Finnish-born goalie held firm until Ohio State defenseman Matt Miller backhanded in a goal with just 9.5 seconds remaining to steal a victory for the Buckeyes. Head Coach Tony Granato was visibly frustrated with yet another heartbreaking loss for the Badgers after the game. Despite another tough loss, UW was forced to clear their heads ahead of Saturday night’s game. Prior to the game, Wisconsin women’s hockey head coach and Badger legend Mark Johnson became the first UW men’s hockey player to have his jersey raised into the Kohl Center rafters. 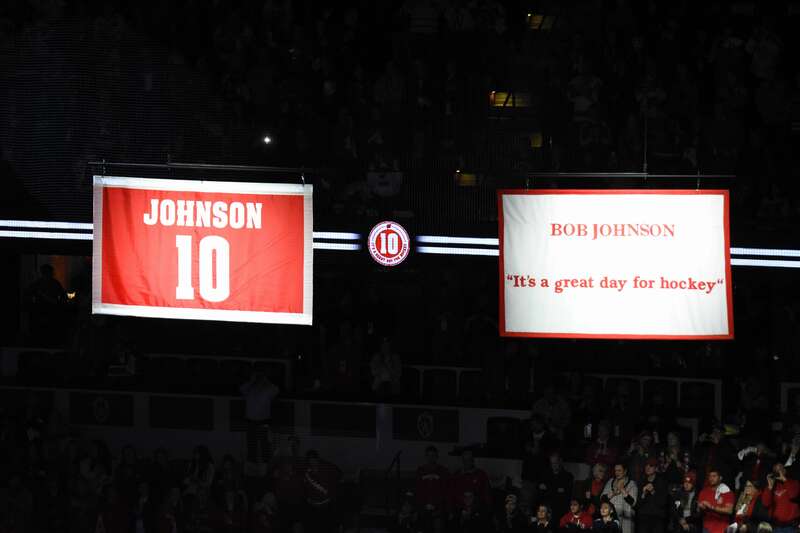 Johnson’s jersey retirement made for a magical night. In front of a sold out Kohl Center, the former Badger who played a critical role in the 1980 US Olympic Team’s “Miracle on Ice,” was honored in a heartwarming ceremony. In addition to his own personal accomplishments on the ice, Johnson has transformed the Wisconsin women’s program into an NCAA dynasty, leading them to four national championships and eleven Frozen Four appearances so far in his coaching tenure. Johnson’s No. 10 will now hang in the Kohl Center rafters right where it belongs. Despite the pre-game festivities, Wisconsin came out flat. Looking more deserving of their No. 3 ranking, Ohio State took the lead on a breakaway score from Dakota Johnson in the middle of the period. The Buckeyes headed into the second period oozing with confidence and all the momentum from the one-goal lead, and they didn’t stop there. With just over six minutes gone in the period, Ohio State got a sensational goal from Tommy Parran when he sniped one in off the bar. Not too long after, the Buckeyes took a 3–0 lead on an easy rebound goal from Buckeye forward Miguel Fidler. From there, the Buckeyes shifted their focus to defense, firing only one shot in the entire third period. The Badgers were able to find the back of the net when Seamus Malone split Buckeye goalie legs to give the Badgers a glimpse of hope. 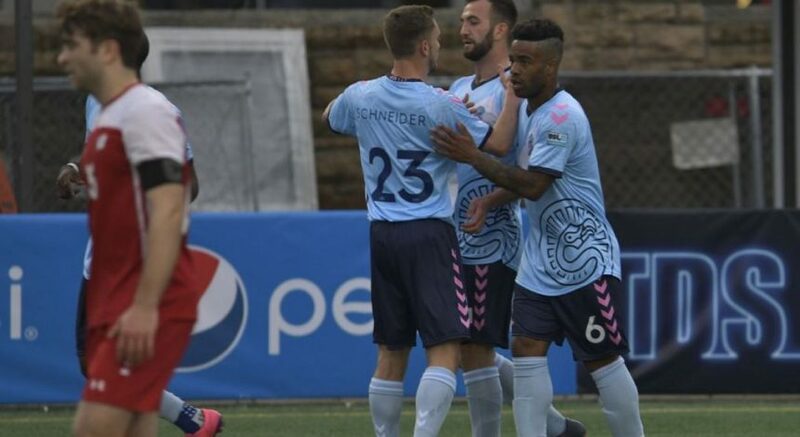 Wisconsin conceded an open-net goal in the final seconds resulting in a final score of 4–1. 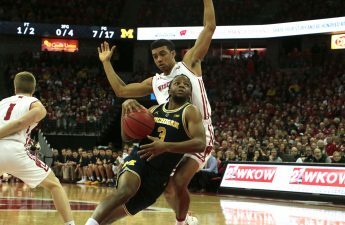 Wisconsin will head to South Bend, Indiana Friday to take on the No. 14 Notre Dame Fighting Irish in what will be another crucial game for the Badgers’ hopes of an end-of-season turnaround.